Thy Kingdom Come is a global prayer movement that invites Christians around the world to pray. What started in 2016 as an invitation from the Archbishops of Canterbury and York to the Church of England has grown into an international and ecumenical call to prayer. Prayers and ideas you can download can be found on the web page www.cpo.org.uk/thykingdomcome giving practical ways to help you pray for five family members, neighbours or friends from a leather band to a mug reminding you to pray during a break! 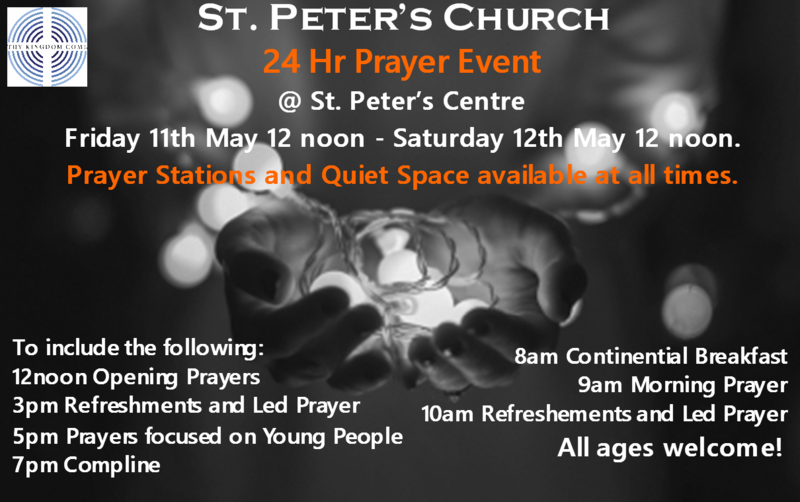 Please look out for more information on prayer events during the period 10th—20th May please look on facebook page.